This Friday, 8 May, marks the 70th anniversary of VE (Victory in Europe) Day — when Nazi Germany surrendered, ending World War Two in Europe. There's a national two minute silence at 2pm, but what else is going on around London to note the occasion? The MoD has several events going on over three days. On 8 May there's a Service of Remembrance at the Cenotaph at 3pm. A beacon will be lit at the Tower of London as part of a simultaneous nationwide event at 9:32pm. On 9 May, expect to hear peals and peals of church bells; there's also a concert at Horse Guards Parade. 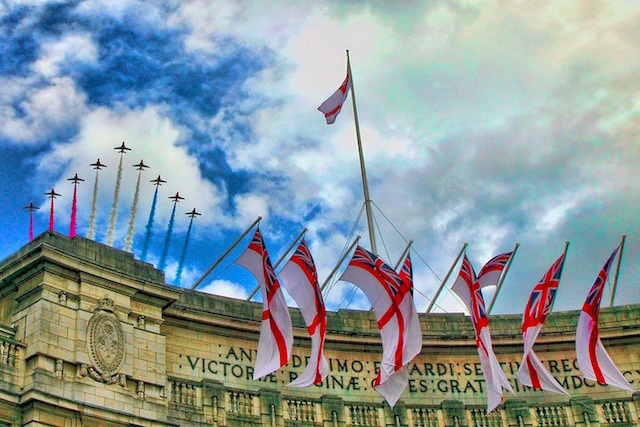 10 May sees a private Service of Thanksgiving at Westminster Abbey, followed by a Red Arrows flypast. More information on these events here. For other events going on in London and around the country to commemorate VE Day, take a look at this VE Day event map. Know of another VE Day event going on? Let us know in the comments below.